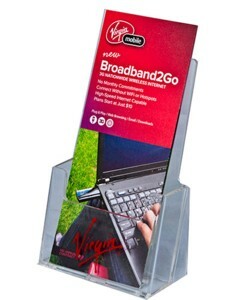 Our Molded Countertop Literature Holders are Perfect to Hold and Dispense Your Literature, Brochures, Pamphlets, Cards or Other Promotional Materials. These Durable Holders are Machine Molded for a Uniform Look. Lightweight Styrene is Ideal to Keep Shipping Costs Down!